BRYAN EATON/Staff photo. Barbara Pingree of Amesbury is intrigued at a piece of folk art of a character at a loom at the Newburyport Senior Center. 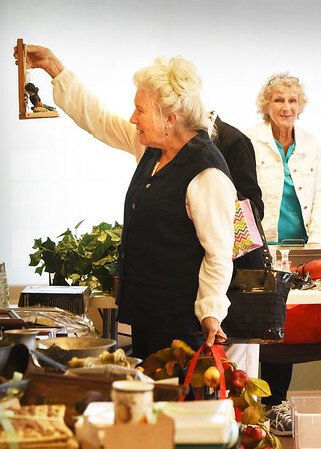 They were having their 2nd Annual Indoor Yard Sale with each vendor giving proceeds to a charity of their choice.